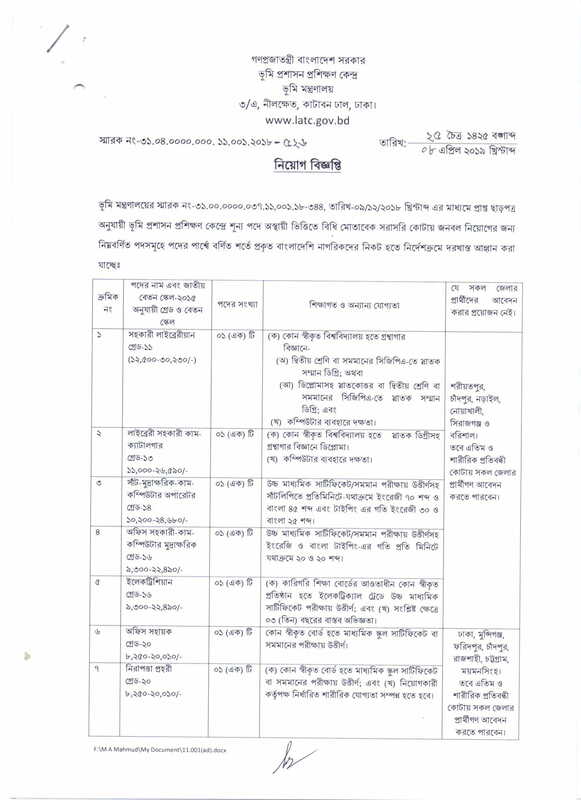 Ministry Of Land Job Circular 2019 www.minland.gov.bd has been published on 8th April 2019. The application of the circular will go on up to . 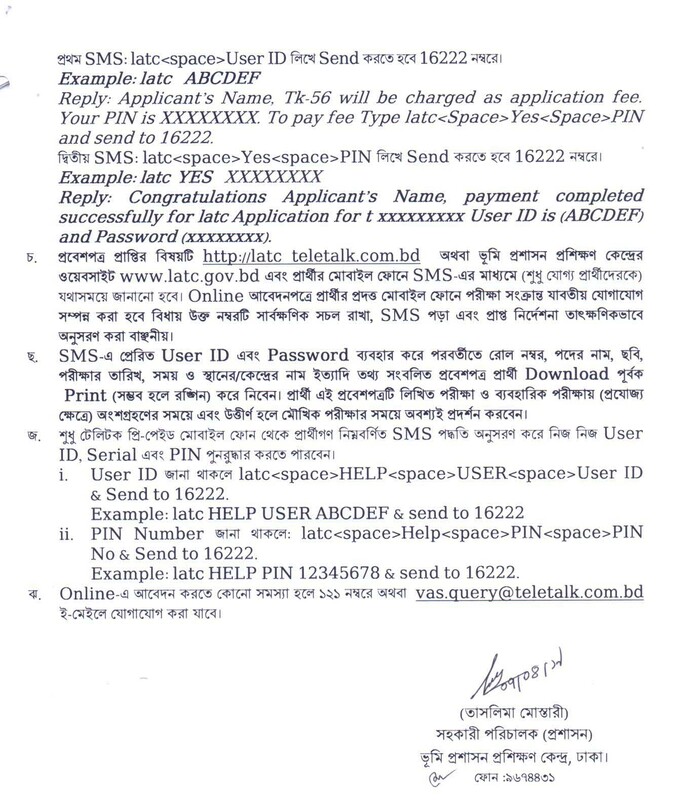 The circular has found at the website of minland.gov.bd. Applicants need to download the application form to apply for this job circular. 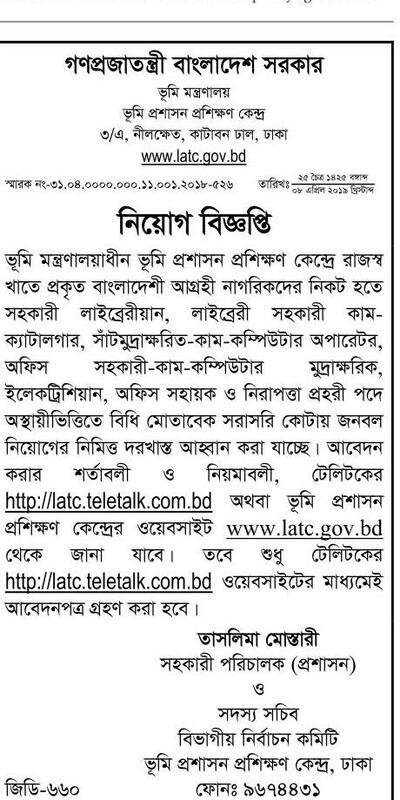 Ministry of land department of Bangladesh has announced a job circular on 8th April 2019. In this circular male and female applicants can apply. The deadline of the new job circular of Ministry Of Land Job Circular 2019. To know more about it see the main circular has given below. To get full circular click here to Download. Educational Qualification: At least JSC Passed applicants can apply for the posts and Maximum Honours passed applicants can apply for all positions. Applications Starts: Starts on April 2019. Applications Deadline: Application will be continued on 30th April 2019. Application Fee : 200,300 and Based on posts. To get regular such government job circular stay with our page and share our post to your timeline. You can also comment on our Facebook page at www.facebook.com/Bdresultpage or message to our Facebook page directly to contact us. Thanks for being with us. To get more information about Ministry Of Land Job Circular 2019 contact with us on our Facebook page comment below for further information. Bro, Infolink kemon paid kore? R Hmm Google Adsense er sathe ki infolink use korle kono problem ace?